A plane crashed into a home near Buffalo, N.Y., Thursday night, leaving 50 people dead. Sen. Charles Schumer warned on Sunday that national air safety regulations proposed after a Buffalo airliner crash two years ago are being watered down in Washington. Schumer told The Associated Press that he will call on the Federal Aviation Administration to fight what he says are industry efforts to weaken the August 2010 regulations. The rules are aimed at keeping drowsy or overworked pilots out of cockpits. The regulations he sponsored arose from the February 2009 crash of Colgan Air Flight 3407 into a house near Buffalo. All 49 people on board died along with a man in the house. The regulations include more training and actions to make sure pilots are more alert in the air. The National Transportation Safety Board reported that both pilots were probably fatigued, although that wasn't a direct cause of the crash. ``Rather than work to water-down vital safety regulations, we need the airline industry to come to the table to ensure we have the greatest possible protections for airplane passengers,'' said Schumer, who was releasing letters to the FAA on Sunday. The Air Transport Association did not immediately comment. U.S. Sen. Kirsten Gillibrand had also spoken out Friday about potential delays in the implementation of safety improvements made after the crash, saying debates about possible funding cuts shouldn't alter the timetable. ``We must ensure that these safety improvements happen as soon as possible,'' she said. Schumer said the industry claims many of the regulations are unnecessary and burdensome to the point that they would hinder growth and jobs. The regulations require more training for crew, flight attendants, engineers and dispatchers to be in place by October. Unable to move the FAA to change the regulations, industry has turned its attention to Congress. Earlier this month, nonscheduled airlines that carry troops and military cargoaround the world said the unpredictable nature of their business means their pilots sometimes have to fly longer hours. They say pilots working long duty days often get more time off between flights and typically fly fewer hours per month than airline pilots. However, FAA officials working on the new rules refused to create separate rules for nonscheduled airlines. Pilots' unions oppose a bill in Washington that would exempt the nonscheduled airlines. 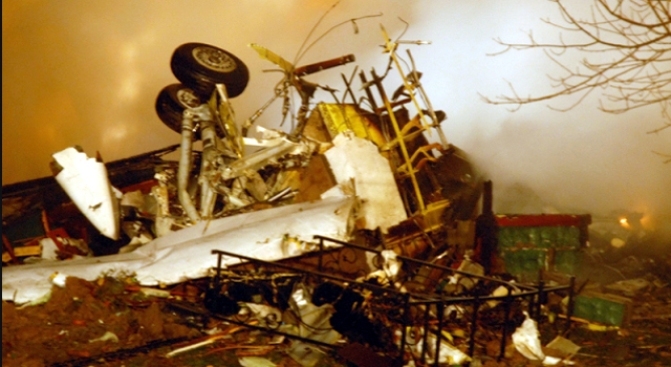 The two-year anniversary of the Buffalo crash was Saturday.